The Summer School of English has been successfully organising English Language Summer Courses for students of different nationalities since 1975. 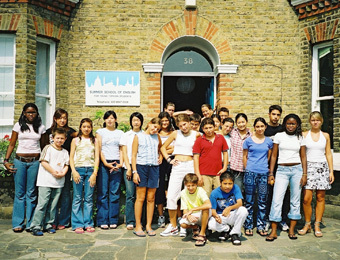 We are one of the few summer language colleges in London specialising in young foreign students aged 5 – 16. Classes are small (maximum 10 students) and so all students are given close and personal attention. Many students return year after year. We offer courses with and without accommodation. The course with accommodation in host families is recommended for young students (aged 11 and over) who wish to improve their knowledge of the English language, together with the opportunity to experience the English way of life. The course without accommodation is for foreign students who are already in England with their parents or relatives and who wish to practice and improve their knowledge of the language during the summer holidays. We also take students who are starting school in England and need to improve their English before they begin. 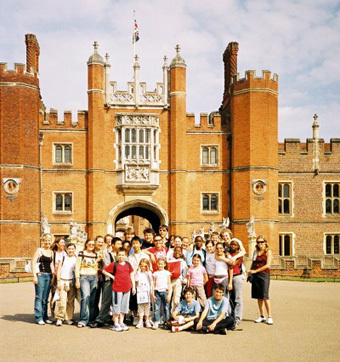 We also organise a range excursions to museums and historic palaces, and activities such as football, bowling and tennis. The school is located in the beautiful and exclusive suburb of Wimbledon, home of the world famous Lawn Tennis Championships. Local facilities include tennis courts, cinemas, theatres, shopping centre, riding stables, swimming pool and sports centre. Central London with its museums, theatres and other tourist attractions is only 20 minutes away by train or underground. The school is a two-minute walk from Wimbledon Station. Small classes mean we give all our students personal attention and make sure they get the most out of their stay with us. Located in Wimbledon with great local facilities and excellent transport links to central London.